Welcome to Bilingual! We are a Sydney based jewellery boutique that is passionate about bespoke jewellery design. Whether you are drawn to modern jewellery or fine design, we collaborate with you to create the perfect signature piece. All our handmade jewellery is locally created in Sydney, Australia and our award winning customer service speaks for itself. We look forward to working with you to create something as unique as you are. We take custom jewellery design to a new level! Your new piece will be created not only to suit your style and aesthetics, but with personalised yet subtle symbology! HOW? We offer all our clients an exclusive questionnaire whereby your answers will form the basis of the jewellery design concepts. We then use 3D drawings and prototypes to illustrate our ideas to fit within your budget. Take a look at some of our recent projects....any words that are in bold have come directly from our clients' questionnaires. 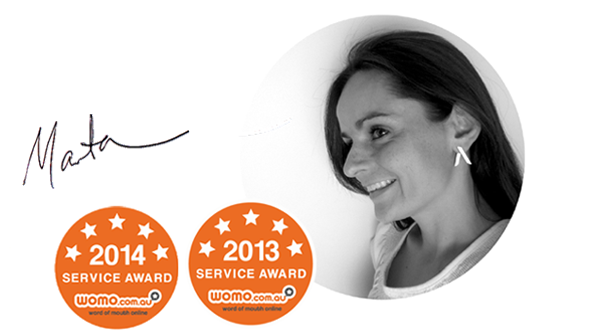 My name is Marta Niegowska, an award winning Australian designer and the proud founder of Bilingual Design. I am passionate about creating custom made jewellery to suit every individual. I have been designing jewellery for over a decade and I still get excited about every single project, big or small. I love hearing my client's stories, their motivation for the new piece and of course being privy to some secret surprises! I look forward to making you a jewellery design that says it all! Marta and I have never met but her attention to detail, design and service are second to none. We corresponded via email through the whole process and Marta kept me informed of what was happening every step of the way. She took all my ideas into account and produced a stunning ring that I shall treasure for years to come. Thank you so much Marta. You are now my jeweller of choice. Marta walked with me on my journey creating a piece of jewellery that represented my life. She was not afraid to explore my inner thoughts and work with them to create something we were both very proud of. Her valuable professional opinions and information were offered in the right measures and I never felt rushed to make a decision. I wanted a representation and Marta was creative enough and mature enough to know exactly what I meant by that. 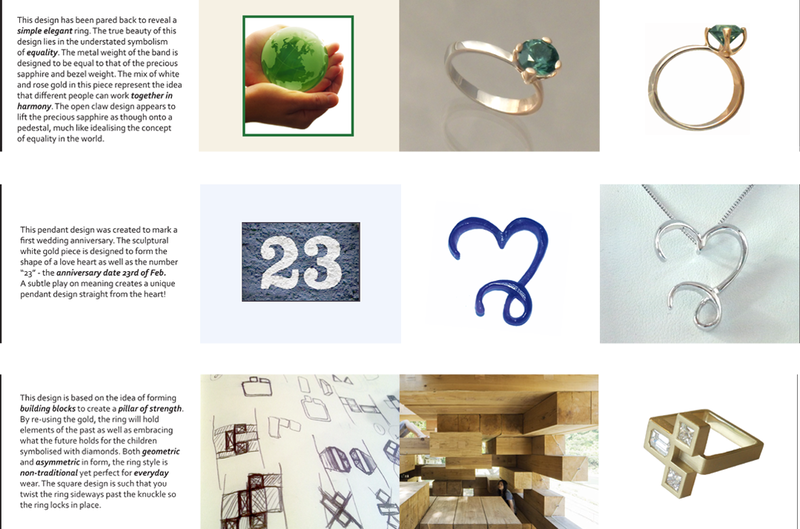 What a treasure to have found a jeweller who can design thoughtfully and collaborate with their client so well. I am so delighted with what I now wear daily and get wonderful comments all the time. Highly recommend Marta to anyone who will ask and will be returning myself ! I have received the pendant today and it truly is amazing. To be holding something that was an image in my head and to see how you have transformed that image from paper to a precious metal is incredible. I would like to thank you so much for everything and delivering a work of art. I can't wait to give it to my wife next week. It's that good I want to show her now, I know she is going to love it. From the first email I sent about my design idea to when I picked up the final piece, I was completely impressed with how Marta works! Her approach to the design process was so collaborative - I really feel my new ring is completely unique and it is so much more than I could have imagined. The most difficult part was trying to choose from the designs that she tabled from the brief - all of them were brilliant! I can't thank Marta enough for the attention to detail and care she provided in making such a symbolic piece for me. I would highly recommend Bilingual Design to anyone - especially if you want to create something truly custom.